What words of wisdom would you have for writers who want to use Dramatica Pro, but do not have a lot of self-discipline to master the learning curve? First, keep in mind that writing is a craft in which one is always learning. Every time you pick up a new trick, tip, or technique, your writing improves, even if you haven’t fully grasped the larger understanding. So, the real objective is not to “master” the craft of writing, but to keep your writing skills growing by continually learning new approaches. Second, keep in mind that Dramatica is both a new theory of story and a line of software products which implement the theory. As a result, new Dramatica users have two different things to learn at the same time. In terms of the theory, unless you are more interested in being a theorist than a writer, don’t bother trying to understand the whole shebang. The Dramatica theory is HUGE, COMPLEX, and utterly OVERWHELMING. But… it is made up of thousands of simple pieces, each of which provides a truly useful trick, tip, or technique. For example, just one little part of the theory says that a traditional “hero” is really made up of two parts: the character driving the story AND the character with whom the audience identifies. When you realize that these two functions can be put into two separate characters it opens up a whole new realm of creative possibilities. You no longer have to make the Protagonist your Main Character, but might choose to tell your story through the eyes of someone to the side of the main action. A good example of this is “To Kill a Mockingbird” in which the Protagonist (Atticus -the Gregory Peck part in the movie) is driving the story forward, yet the audience most closely identifies with his young daughter, Scout. It is really Scout’s story. Every little part of the Dramatica theory you learn adds to your creative options. So, when approaching the Dramatica theory, look at is as a wealth of useful concepts for writing which one can mine for years without exhausting the supply of new insights, techniques, and ideas. And unless you would rather be a theorist than a writer, don’t worry about trying to master the whole durn thing. When considering the software, however, a completely different situation arises. 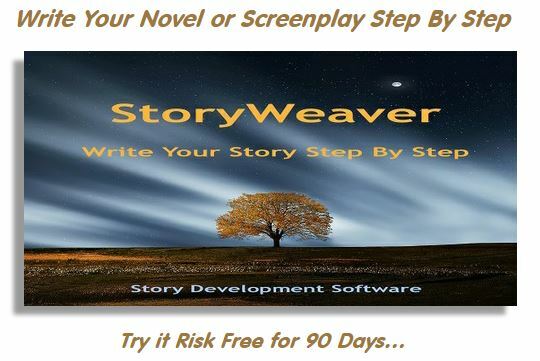 Rather than simply picking up interesting concepts, the intent here is to use the software as a tool to fashion the underlying dramatic structure for your story. The Dramatica software is built around a “Story Engine” which is a “model” of dramatic relationships. In order to use the Story Engine as a tool, one must learn how to run it. As with any skilful endeavor, it takes time to master. Think of the first time you rode a bike, drove a care, learned to type: each of these skills took time to develop. Why commit the self-discipline necessary to master these skills? Because of the the belief that once the work is done, one will be able to do things that were simply not possible before. Imagine if you could be sure that your dramatic structure was sound before you ever wrote a word. Or, imagine if you could write a first draft based on inspiration, then use a Story Engine to “check” your dramatic relationships, tell you what isn’t working, what’s missing, and what needs to be done to make it right. That’s what the Dramatic software promises. But why should you believe? After all, that is a bold claim. The reason to believe brings us back to the Dramatica theory. Read the book. (It is available FREE on the world wide web through The Official Dramatica Theory Web Site at Storymind.com and also comes free with Dramatica Pro.) Try out some of the concepts you can use right away. And, if you find some useful new tools, perhaps you may determine it is worth your while to invest some time in developing the skills necessary to run Dramatica’s Story Engine. 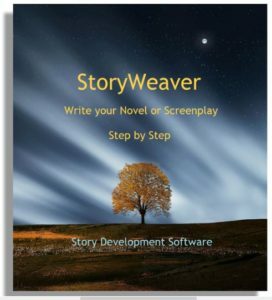 It is my belief that authors willing to apply that effort will find that the Dramatica software can take them to whole new creative levels.